Impact Awards - Who Will You Nominate? - Business Directory - St. Thomas & District Chamber of Commerce - ON, ON ? Impact Awards - Who Will You Nominate? NOMINATIONS ARE NOW CLOSED. Thanks for all the submissions! The ‘Impact Awards’ are the ‘re-imagination’ of an extremely long and impressive history of celebrating business success and community contribution. This awards presentation will become the Chamber’s most prestigious event on May 9. This celebration includes keynote speaker Peter Mansbridge and award presentations in a signature program that will truly impact our community through recognition of excellence. 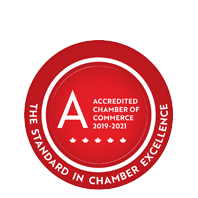 The St. Thomas & District Chamber of Commerce welcomes the nomination of businesses, service organizations and individuals who, through their achievements, deserve to be recognized for their excellence. For 2019, there are seven (7) potential award categories. This honour recognizes a business, service organization and/or individual who has made an ‘extraordinary’ and/or ‘significant’ contribution serving St. Thomas, Central Elgin and/or Southwold within the past three (3) years of nomination. The recipient will be a ‘stand-out’ member of our Chamber community whose performance, actions and/or service has ‘raised the bar’. This honour recognizes a woman (or woman-led enterprise) serving St. Thomas, Central Elgin and/or Southwold who has taken on and succeeded at extraordinary challenges in their field. The recipient will be an ‘inspirational trailblazer’ - one whose mentorship of others (either personally or professionally) has set an exemplary standard to emulate. This honour recognizes an individual serving St. Thomas, Central Elgin and/or Southwold (under age thirty nine (39) as of nomination), who represents the ‘spirit and passion/compassion’ of our next generation. The recipient will have demonstrated vision and a persevering approach, and have a healthy record of success and notable achievement which has inspired/influenced others of their generation to similarly engage. This honour recognizes a business, service organization and/or individual serving St. Thomas, Central Elgin and/or Southwold who’s full-time enterprise has been in continuous operation for greater than one (1) year and less than three (3) years (as of nomination) and has developed since inception. The recipient will be one who has earned exceptional recognition for their initiative, innovation, creativity and early development growth in their sector. This honour recognizes a registered non-profit business or service organization serving St. Thomas, Central Elgin and/or Southwold who’s unique focus is the betterment of our community. The recipient will be one who, by either history and/or extraordinary contribution, has garnered respect and appreciation for their civic engagement/service, champion of higher learning/education, committed stewardship, charitable participation and/or tireless volunteerism. Deadline for nominations is Friday March 22, 2019 @ 4:00 p.m.